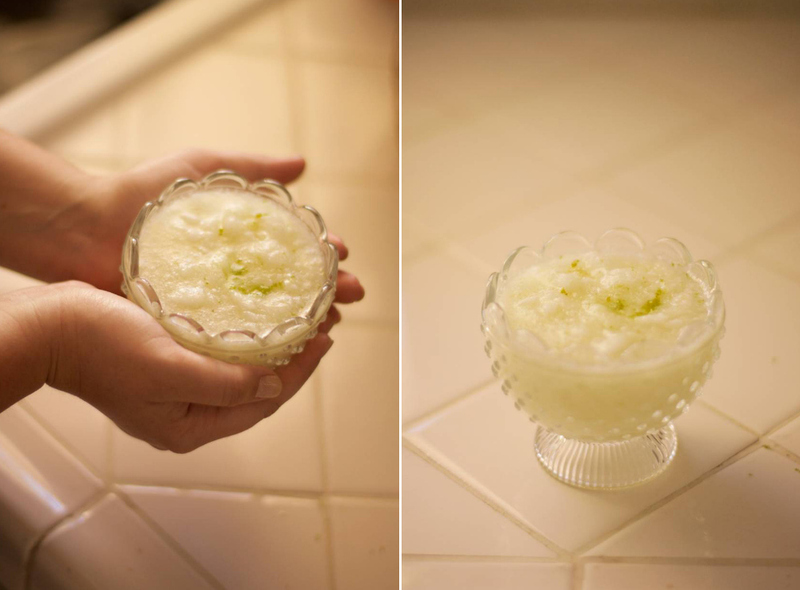 yesterday morning my girl and i whipped up a batch of homemade coconut lime body scrub in our pajamas. 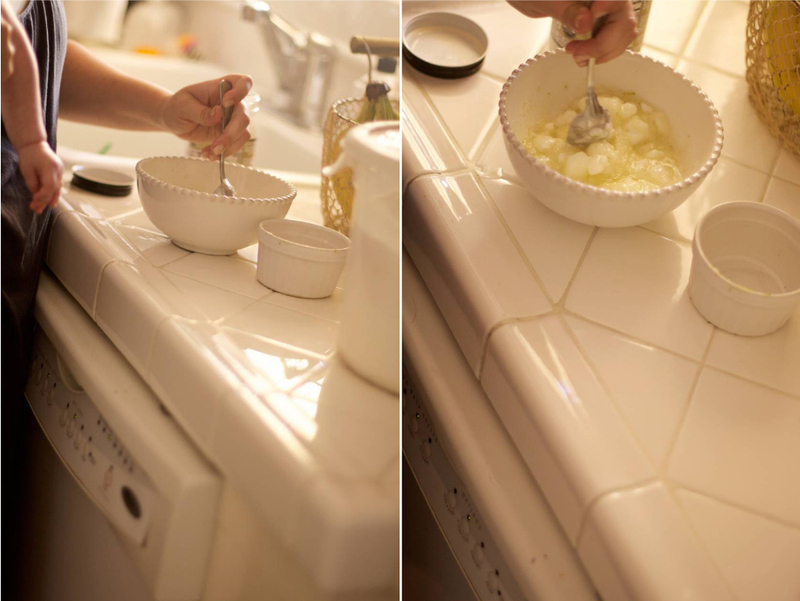 our daddy snoozed away and the sun was shining in on our vintage kitchen and sweet ava girl helped me juice the limes. she's real helpful like that, i'm raising her right and all. 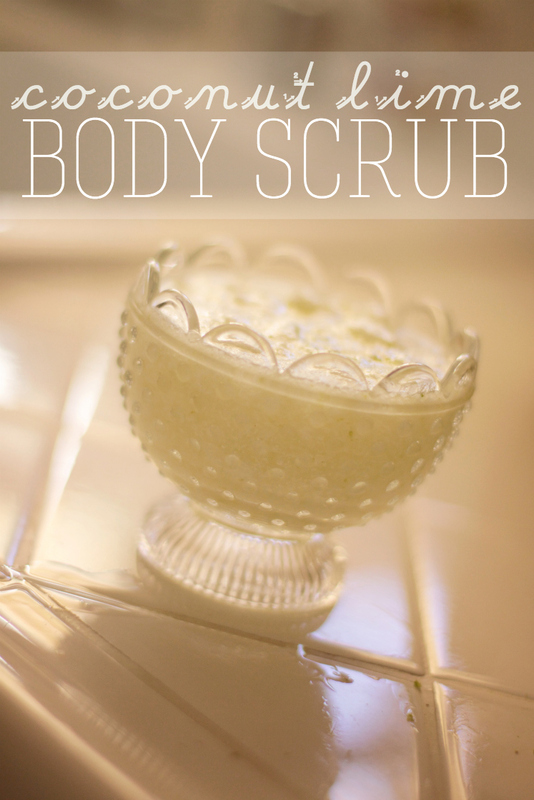 this scrub is for you if you like smelling like vacations and having super silky legs and saving money because normal store bought body scrubs are pricey. if you don't like those things, i don't think we can be friends because clearly you are an alien from outer space. just a fact. warning: i kind of just made this little recipe up in my head, so all measurements are approximate. but here's the good news! you can't mess this baby up! too much sugar? add some oil or juice! too much oil or juice? add some sugar! ya dig? combine all ingredients and add sugar/lime juice depending on preferred consistency (more juice for runnier, more sugar for thicker.) store in sealed tupperware and enjoy!! ps. i like to use it after i've shaved my legs to sluff all dead skin off. just fyi. or tmi. either/or.